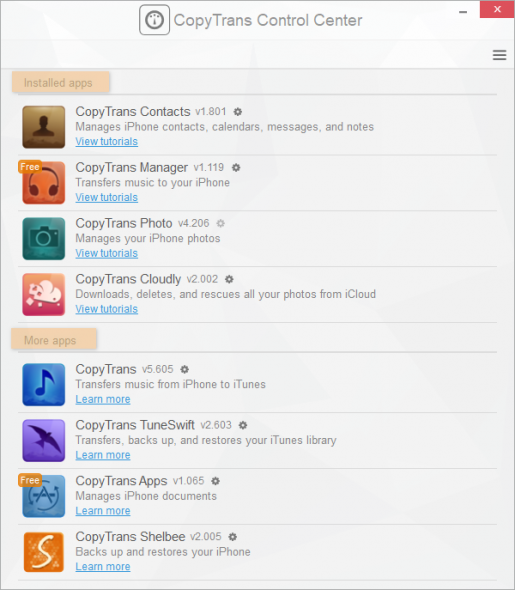 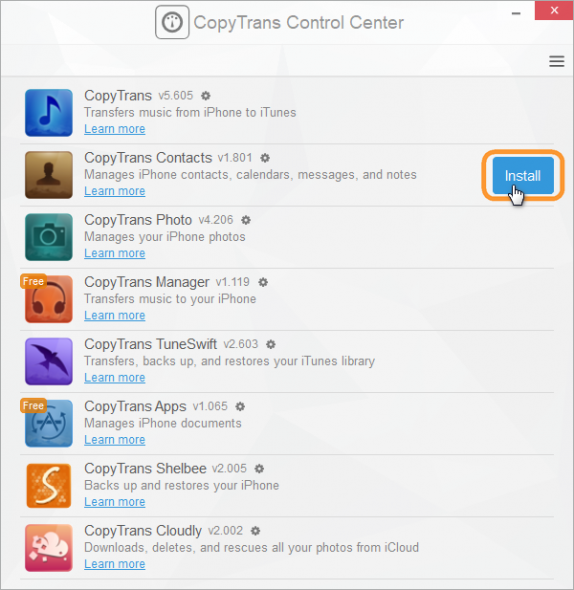 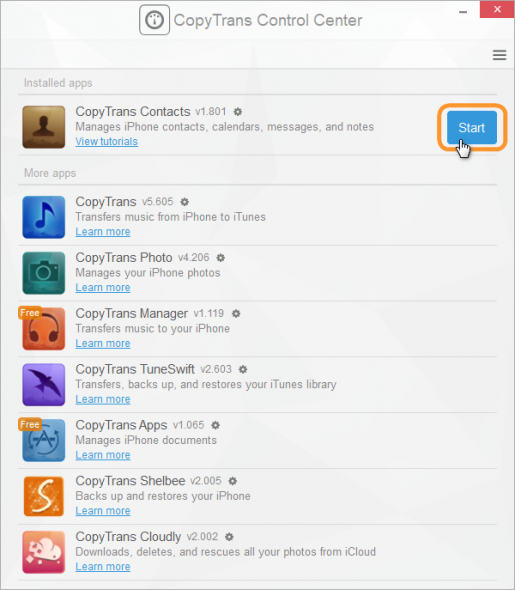 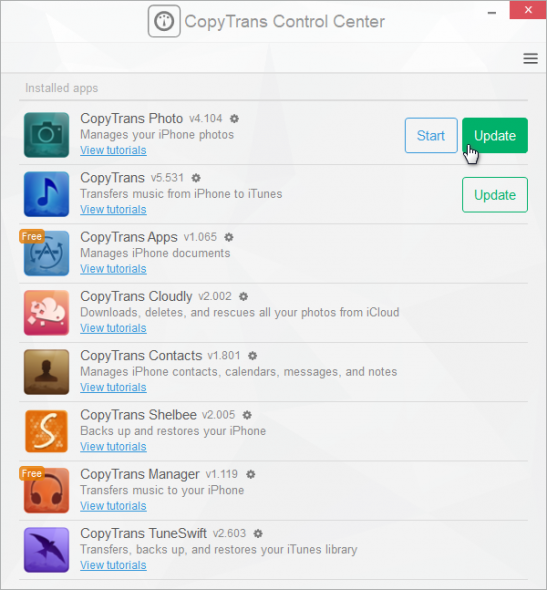 Home » How to use the CopyTrans Control Center? 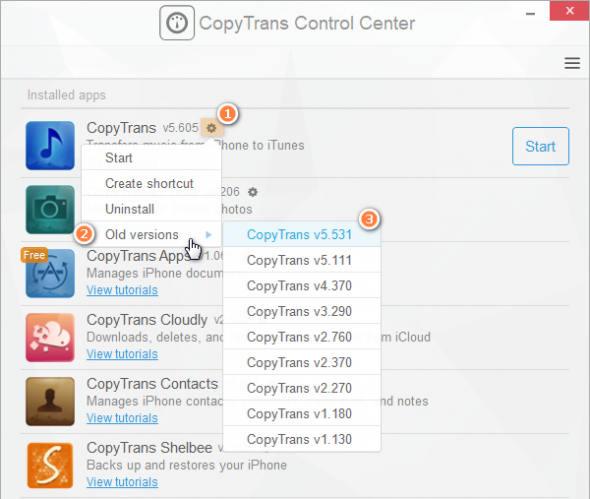 The CopyTrans Control Center helps you manage all CopyTrans programs on your PC from a single window. 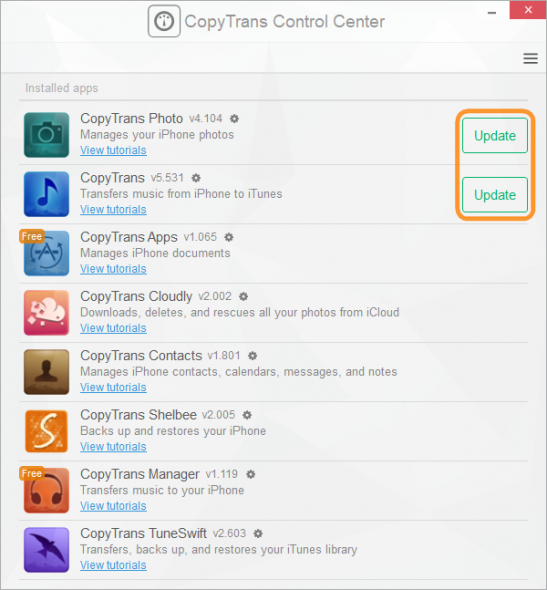 It also helps you keep track of program updates.